It should come as no surprise that the Londinium inhabited by Rafe Lancaster is a version of London. Not quite the London of 1899/1900, since this one has aeroships and House Guards who use phlogiston-powered harquebuses and pistols, but still, quite recognisably using London’s geography and its buildings. short roads that run roughly north-south between Great Russell Street, on which stands the British Museum, and Bloomsbury Road/New Oxford Street. This is the coffee house, currently masquerading as a fish restaurant. Sadly, the upper part of the building is as shabby as when Rafe bought it. He had it painted a discreet cream, with a green trim on the coffee house windows. It was much less shabby by the time he’d finished with it. I have made some changes to it. Please imagine it a little wider, with windows in which Rafe can put a table and chairs for his customers. And I’ve given the building a pitched roof, rather than the flat roofs of the real thing. 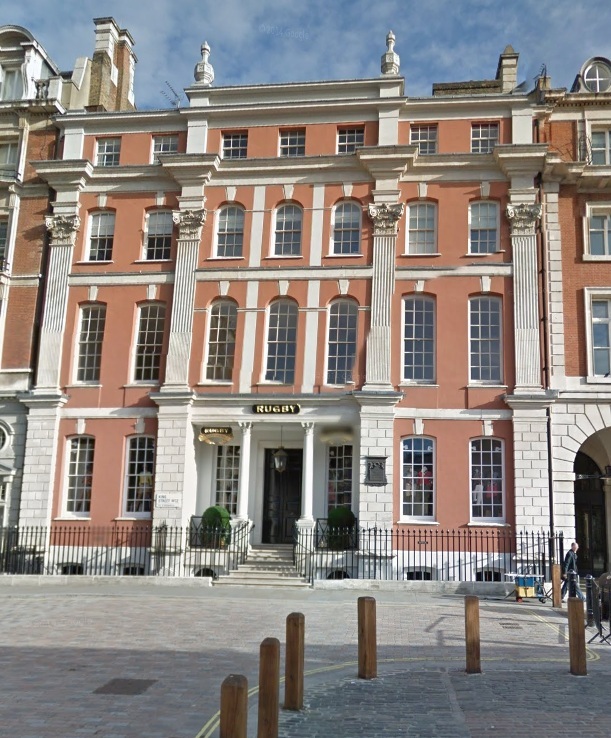 It’s a typical building of its period, with a stucco frontage and large windows on the first and second floors (British first and second; US second and third). Four storeys in all, it gives Rafe plenty of room for his coffee house on the ground floor and his living quarters above, with the first floor given over to the dubious import business that’s a front for the Gallowglass House Guards. The white fronted building beyond it is Will Somers’ bakery and patisserie, where Will creates the most exquisite little cakes to go with Rafe’s superlative coffee. Another crucially important location is Margrethe’s, a private gentlemen’s club in Covent Garden established for over a century as a meeting place for gay men. Gay men had always had to be discreet, especially after the Cleveland Street Scandal and Oscar Wilde’s trial. Margrethe’s is purely imaginary, but other venues–Alex’s hotel, the Tea Kettle cafe in Soho, the Long Bar at the Trocadero–were all safe places to meet potential partners. Margrethe’s is not only discreet, but very, very expensive and exclusive. I chose this building to be Margrethe’s. It has the right kind of understated elegance. Ned Winter is the First Heir to House Gallowglass, the preeminent House in the British Imperium. 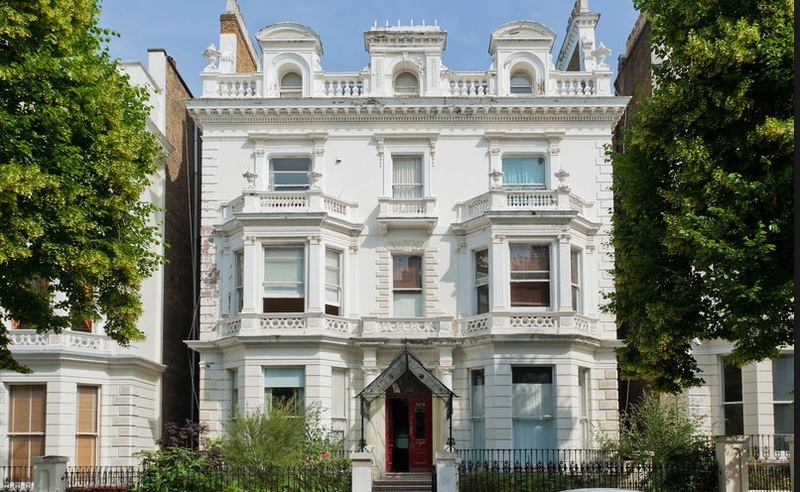 Ned lives in a grand house in Grosvenor Gardens in Belgravia. Not far from Gallowglass House itself, as it happens, although smaller and less imposing. Ned was given the house by his father, The Gallowglass, when he married Laetitia Abercrombie, daughter of The Huissher, in 1891. Laetitia was killed in an autophaeton accident in 1898, leaving Ned with two sons: Harry (b. 1893) and Jack (b1898). They had a stillborn daughter, Elizabeth, in 1896. Ned is an Aegyptologist: a professor at University College and a member of the Aegyptian Exploration Society. A very rich man, Ned is able to fund his own digging seasons. Daniel Meredith, one of the major characters in the first book, The Gilded Scarab, lives in rooms in a house in Argyle Square, near Kings Cross. It’s a reasonably short walk down into Bloomsbury, so convenient for Daniel, who’s an Aegyptologist and a professor at University College . He also works with Flinders Petrie and, like Ned Winter, has privileged access to the British Museum. The houses in the Square are typical of the early Victorian period; now slightly shabby and mostly offices and hotels. Several pivotal events take place in the house in Kensington that belongs to The Stravaigor, the princeps (or head) of the House to which Rafe belongs: House Stravaigor, the house of vagrants and vagabonds. The Stravaigor is a typical head of a Minor House: politically acute, always looking for advancement and the main chance, and very keen to see how he might use Rafe to further his own, and the House’s ambitions. The denouement of The Gilded Scarab takes place in the British Museum itself, sitting in great grandeur on Great Russell Street in Bloomsbury, although in Rafe’s Londinium, it’s the Britannic Imperium Museum. As Rafe observes, we British tend to pick up the odd portable trifles of previous empires and civilisations, and bring them back to the Museum to display. Possibly to demonstrate just how civilised and cultured we are. The sparklier the portable trophies the better, I suppose, although we never say no to bits of marble or granite. Ask the Greeks.